turn a necessity into style! 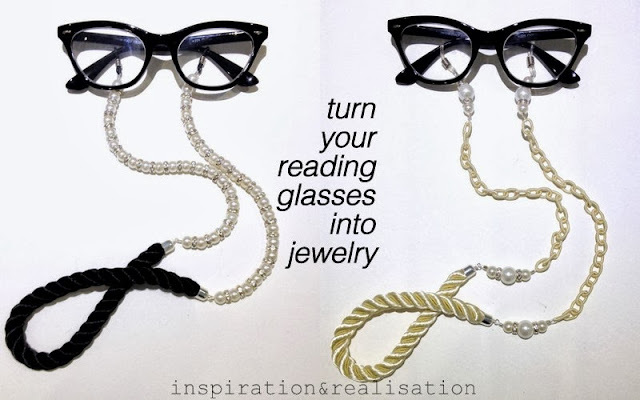 Ever since I started to use reading glasses I have a pair in each room, in my car, in my purse... yet, still when I need them (often), somehow, they seems to vanish and disappear. - satin twisted rope 10 mm black - 11"
- satin twisted rope 10mm ivory - 11"
cut about 2 x 11" of nylon line. and pass it again into the crimp tube. Do that on both parts, and use your crimp pliers to close the crimp tube around the nylon line. 22 pearls and 21 spacers on each nylon line. Cut two piece of wire of about 2-1/2". Wrap the wire twice around the round nose pliers, and then make a loop inside the coil. wrap the ends of the rope tight with tape, and cut it leaving about 1/4" of the taped part. You need 11" of rope. Place E6000 glue around the taped ends, and force the rope inside the end caps. Pass the short end of the nylon line into one or two beads, pull it tight and cut the excess line. release some of the tension of the line and use the crimp pliers to close the crimp tube around the nylon line. 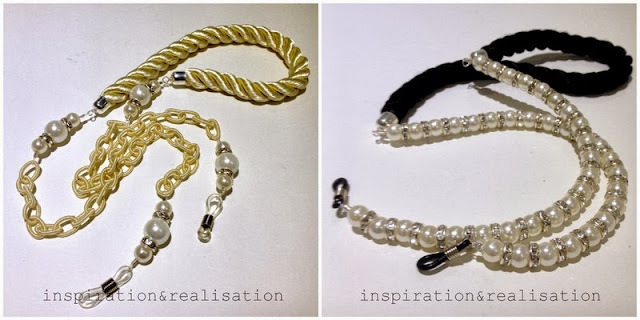 For the ivory chain, I did pretty much the same steps, except that the nylon line is in 4 smaller parts alternated with the nylon thread chain. I used the 4 bigger size pearls, alternating the Swarovski spacers and two smaller pearls on each side. very nice idea and very stylish! 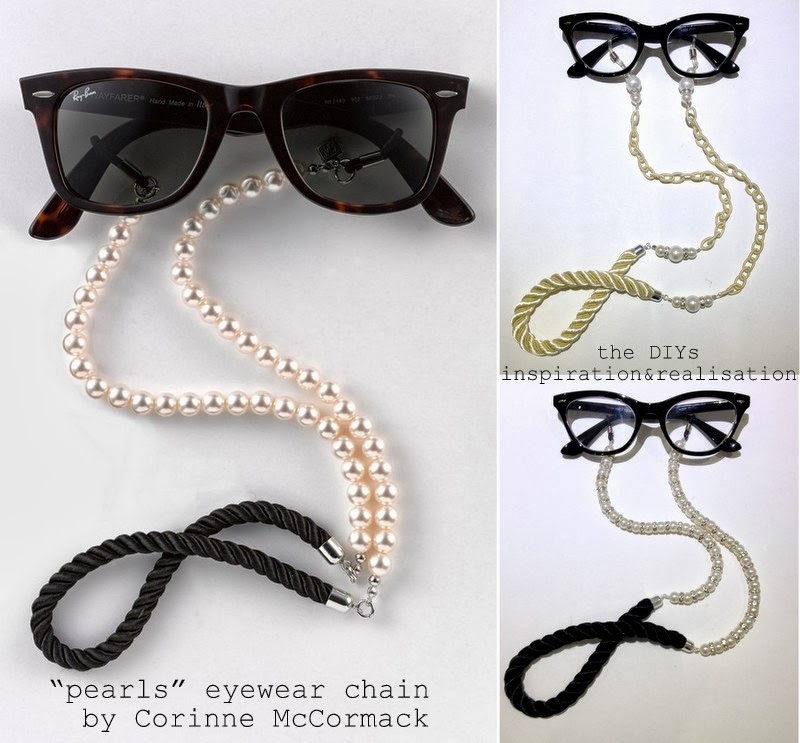 Eyewears have always been a favorite fashion accessory and with the addition of pearls, it looks more stylish and unique. Wat can better than to protect your eyes in style.